Security: Persons with disabilities plead to be informants – Royal Times of Nigeria. The Kogi State Association of People Living With Disabilities has appealed to the State Government to employ some of the association’s members as Informants in the state’s Vigilance Group. The appeal was made by the Chairman of the association, Mr Ibrahim Arome, in Lokoja. Arome said the association had many members with proven integrity and expertise on security matters in spite of their disabilities, assuring that the knowledge could immensely help toward curbing crime in the state. “It is a fact that we don’t have able legs and hands, but our physical challenges do not affect our brain. “We have eyes and ears and we can observe the security terrain in our environment and report suspicious movements to the security agents for prompt action. “However, we may not be able to perform effectively unless we are part of the security organisation,’’ he said. According to him, the recent high rate of kidnapping, armed robbery and other forms of insecurity in the state have been a source of worry to the association. The chairman, however, commended the Gov. Yahaya Bello administration for putting various measures in place to check the menace. He said tackling security challenges in the state should be a collective responsibility, adding that persons with disabilities, too, could play vital role toward ensuring peace in the area. He also lauded the State Government and the Federal Government for appointing persons with disabilities into decision-making positions. Arome said by such appointments, the APC-led government had given a sense of belonging to the physically challenged in the society and further confirmed that “there is ability in disability’’. 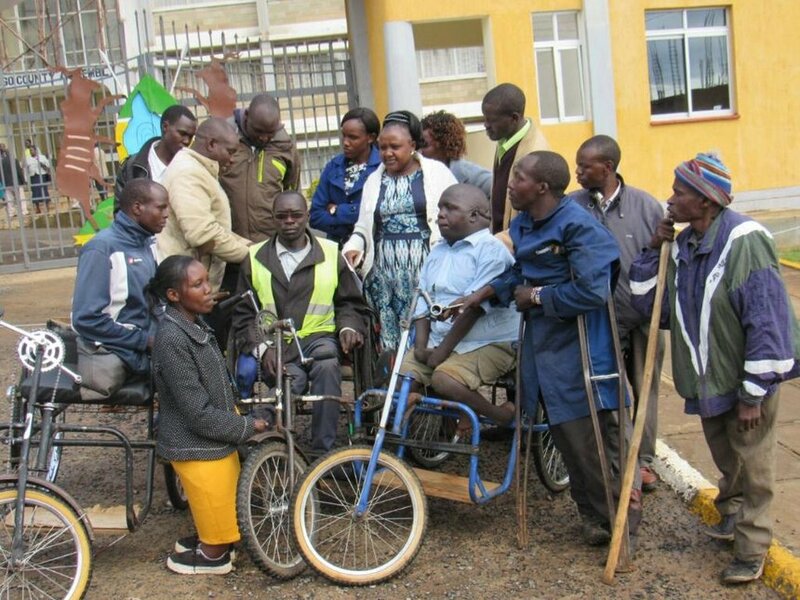 He urged members of the public to stop discriminating against persons with disabilities, stressing that physically challenged persons were also capable of contributing to the development of the society. Kogi came to limelight in recent times, following a wave of crime, especially kidnapping, a development that prompted the state government to order the demolition of some houses harbouring suspected criminals in some hideouts in the state.